In 1993, Mike Mignola debuted Hellboy, beginning a universe that would expand to include hundreds of comics and characters. Today, the Mignolaverse is the largest creator-owned comics universe, inspiring multiple live-action movies, animated films, and video games. 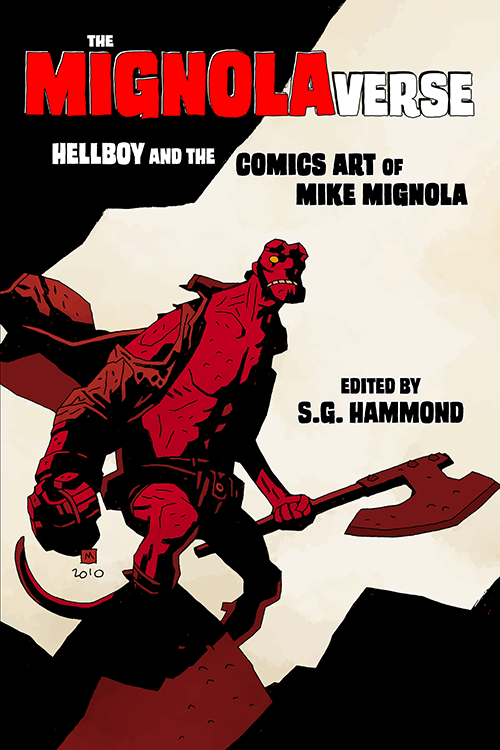 The Mignolaverse: Hellboy and the Comics Art of Mike Mignola, edited by S.G. Hammond, examines Mignola’s comics and the sprawling Mignolaverse mythos. The book explores Mignola’s artistic growth, collaborators, panel compositions, influences, and major themes, among other topics. It’s a must for any Mignola fan! See more, including free online content, on S.G. Hammond's author page.